This exciting new brewery is the latest of its kind in London, ON. I initiated a meeting with the two founders to gain a better sense of their marketing and design needs. 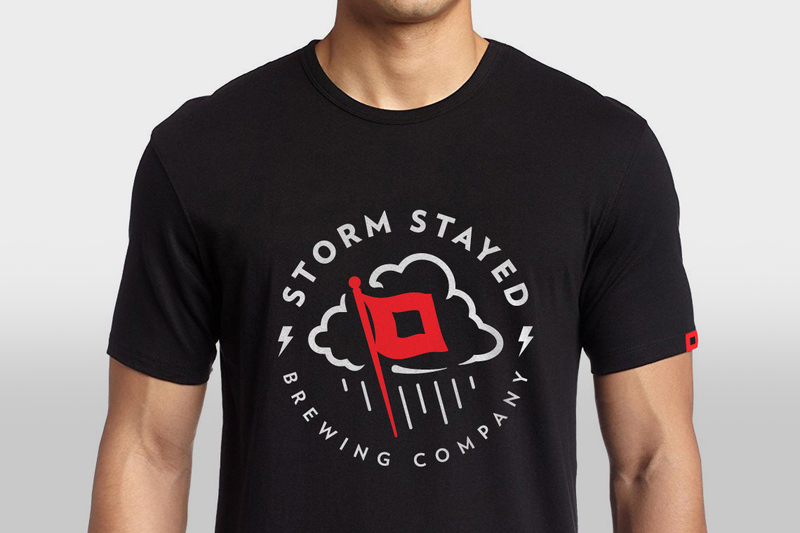 I presented an alternate brand identity featuring a more realistic flag, storm cloud, and precipitation. They liked my vision and worked with me to refine this final artwork (for shirts and other merchandise).